Thank you Dee. 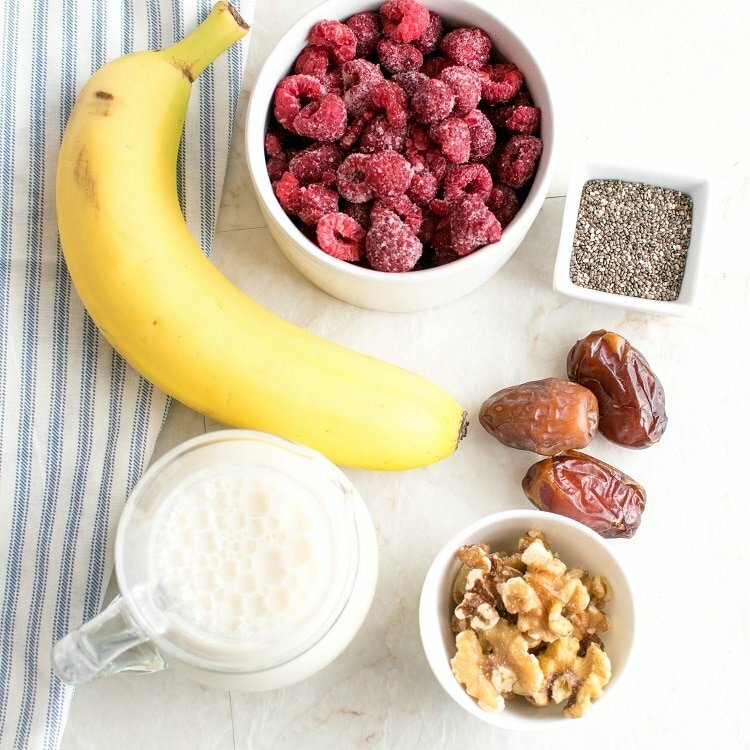 Let me know how it turned out for you if you get a chance to make this smoothie bowl. Thank you Kerri for stopping by to my blog. Hope you enjoy my recipes. I bet this almost tastes like dessert in the morning! Awesome idea! You bet! Who does not like dessert for breakfast. I love smoothies! I have not tried Chia seeds yet but am up for anything. It looks delicious! Thank you. I will highly recommend to include chia seeds into your diet. 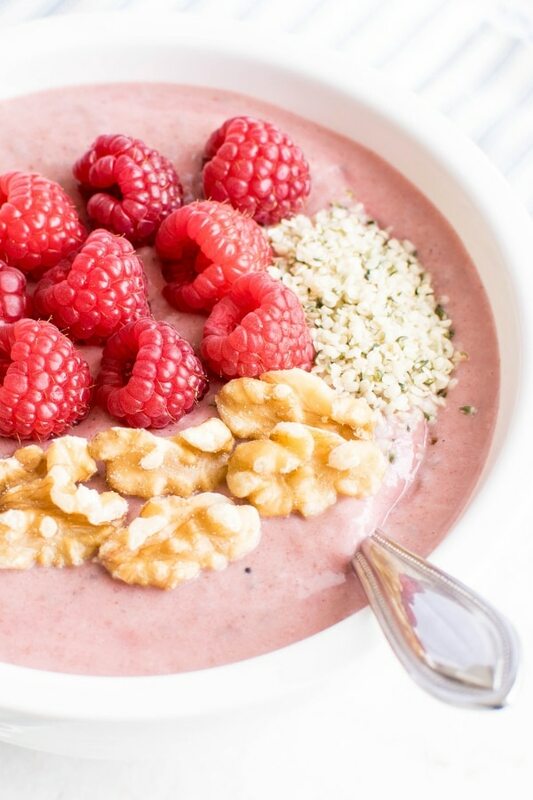 Ugh I love smoothie bowls & this one looks absolutely delicious! Will definitely be trying it out this week, thanks for sharing! This looks so yummy! 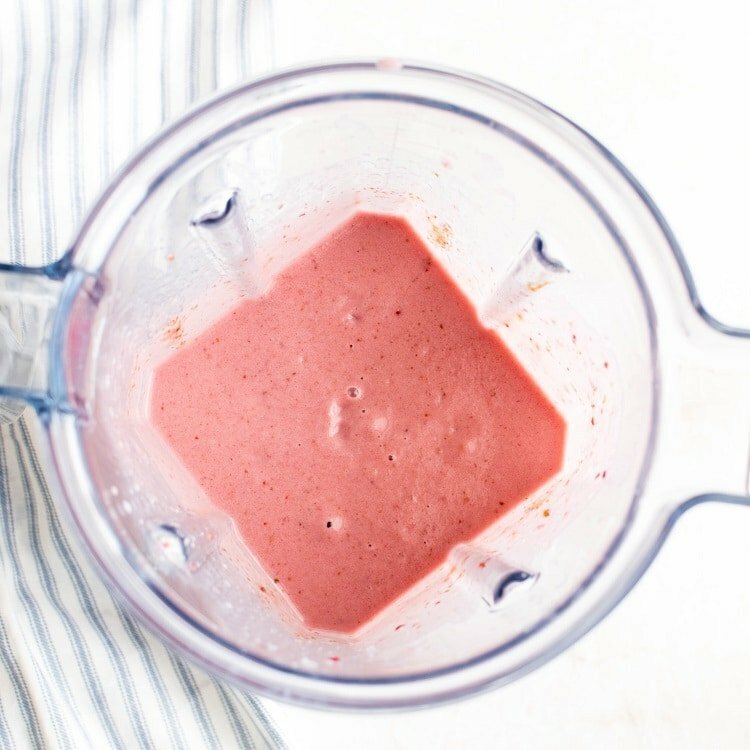 I’ve really been craving fresh smoothies lately and also coincidentally have been looking for ways to get more protein into my diet, so I may have to try! It’s so hard juggling an infant and an older kid. This breakfast looks like the perfect solution to busy mornings. I can totally relate Jenna. I have a 7 year old and 5 month old and breakfast is one thing I miss every morning. 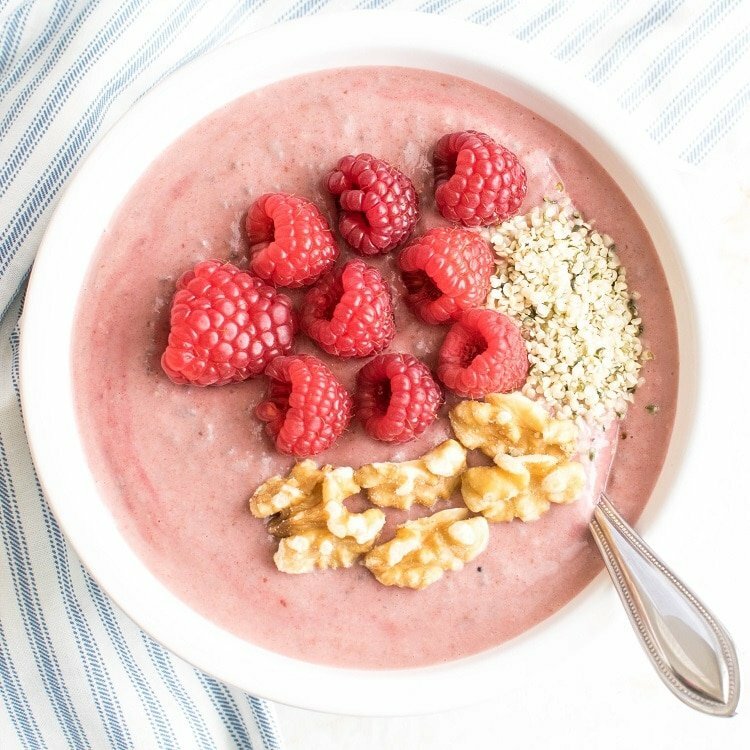 It is when this smoothie bowl recipe comes in handy. This looks so good and so easy! I do not enjoy chia seeds as often as I should. I’ll have to try this! I really need to add smoothie bowls to my life! I want to try this one…we have almot all the ingredients right here! 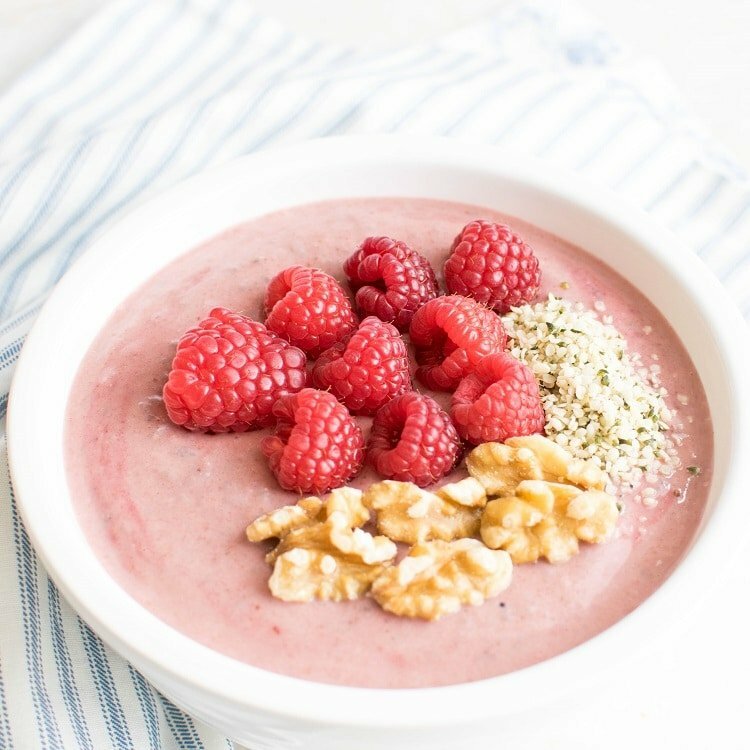 This raspberry smoothie bowl looks so colorful and delicious! I love all of the healthy ingredients you’ve incorporated into this super yummy recipe. I can hardly wait to try one!